Fenix, located opposite Ikea, on Victoria St, Richmond, has a good, delicate ambience for it’s location. It overlooks the Yarra, and today being a nice sunny day, it was a good day for a view of the Yarra, and the houses along the river. Some nice houses located there. Fenix is in the Age good Food Guide, and has a good review as well. 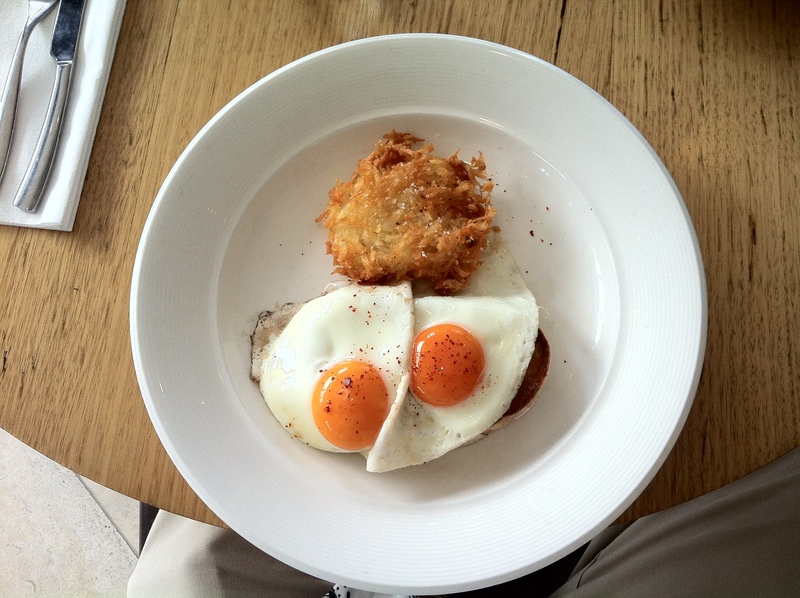 I ordered fried eggs with a hash brown. And a latte as well. Wasn’t sure what the brand of coffee they were using, though it wasn’t too bad. It lacked character though, and that’s something I like in a coffee. It was smooth, but lacked the flavours and the aroma of a good coffee. The eggs weren’t too bad. well cooked, a little overdone by my standards, but I like them runny. The Hash brown was a little salty for my liking, I don’t like overly salty food. Overall wasn’t too bad. The character of Fenix itself added to the experience, with good service and nice setting. If you get the opportunity, try Fenix. It has a lot of seating, offers free parking with the use of a tag given by the restaurant, and is a good venue to get a few friends together and have a good meal, whether it be breakfast, lunch or dinner.